Watermelons, oranges, lemons, peaches, pineapples, bananas, apples! Do you imagine fresh fruits? But I’m not talking about food now. Today it’s all about fruit print clothes. 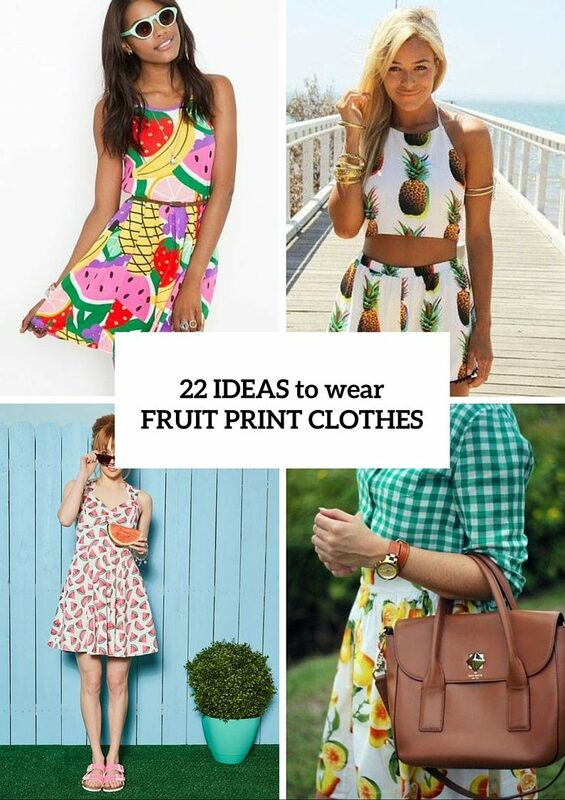 I’ve collected some juicy and cool summer ideas to incorporate fruit prints into your casual, beach or even office looks. 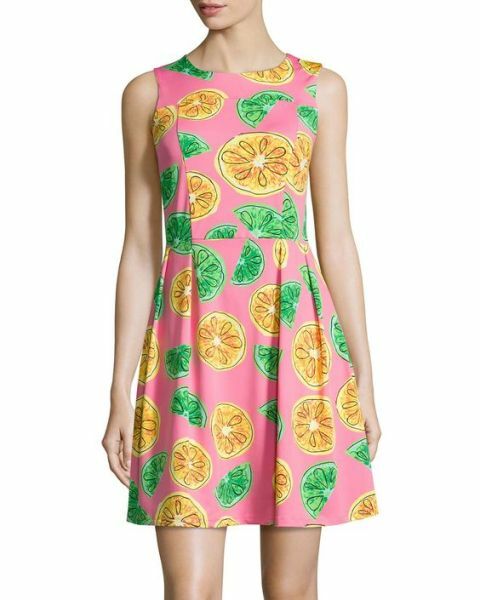 I can’t say that fruit print clothes are trendy only for summer 2016 cause every summer this print comes back and all the fashionistas around the world try to add it to their looks and maybe create new chic ways to make it. 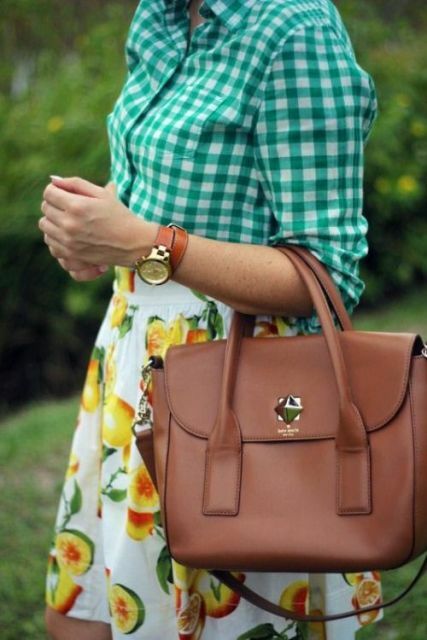 It’s almost the middle of summer, so don’t waste your time and find your perfect pieces of clothes with fruit prints. And of course we will help you to decide what you need to look good. Let’s start! 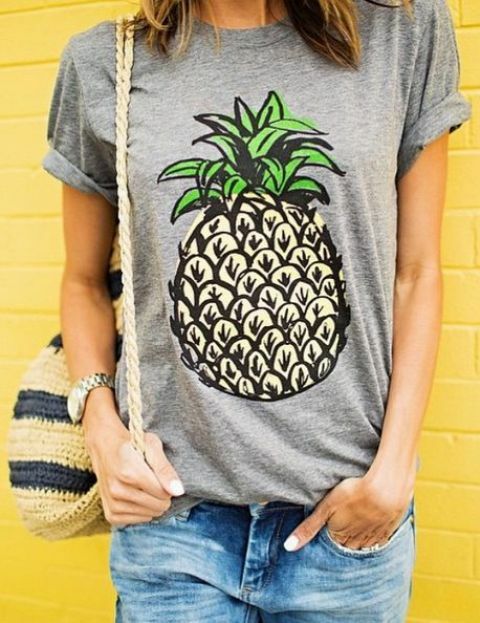 First of all you need to think over your look and understand what piece of clothes you want with fruit prints. 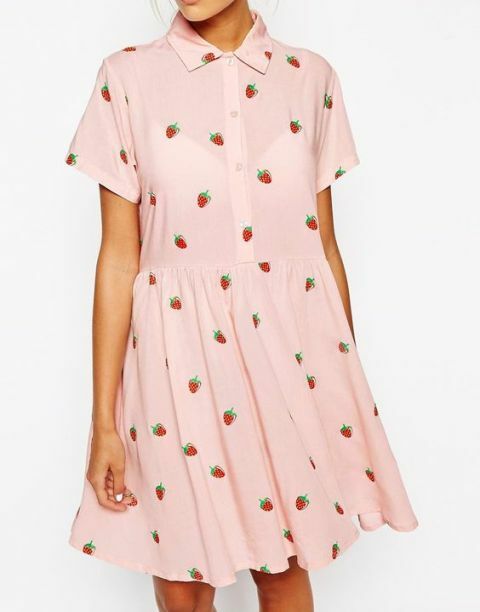 There are so many fruit print clothes options right now: skirts, dresses, trousers, shorts, two pieces summer suits, etc. Difficult choice, right? 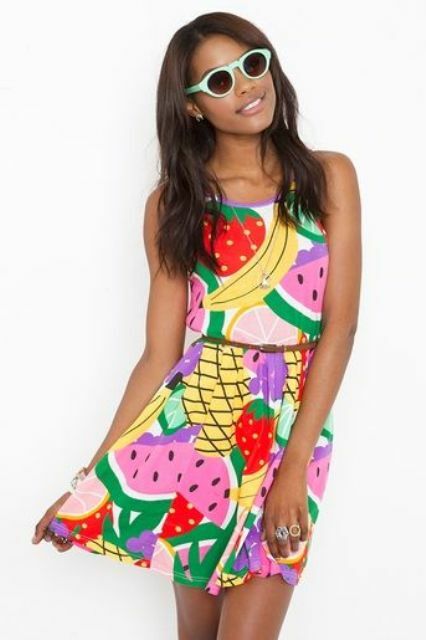 If you aren’t ready for bold clothes combinations, you always can add some fruit accessories to your looks. 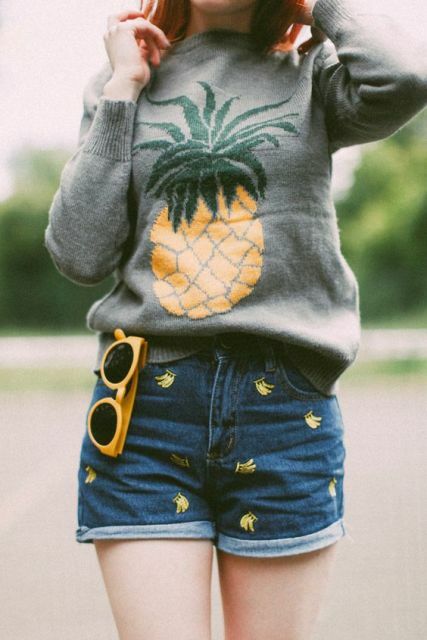 If you wanna create casual looks with fruit print clothes, you can pair a fruit printed button-down shirt with plain pastel trousers or skirts (or you can pick up various types of jeans) or combine fruit printed any length skirts with a crop top. 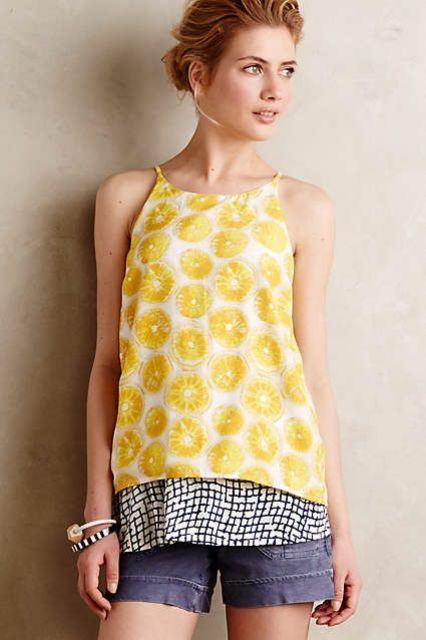 For beach looks try to find airy fruit print dresses or tunics or funny t-shirts with shorts. 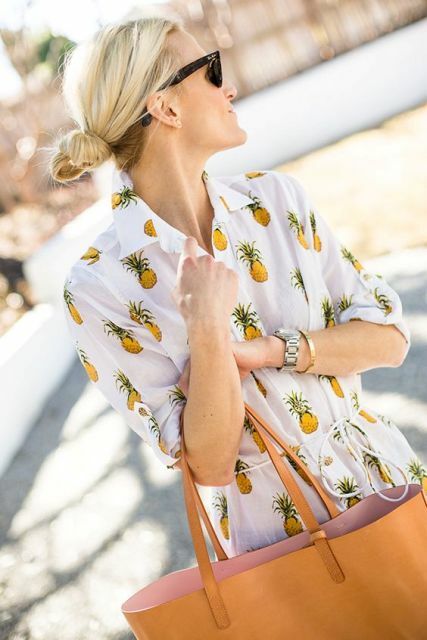 For office you can try (of course if you have a creative job and don’t have a dress code) blouses decorated with small images of fruits, it looks not so eye-catching but still beautiful and fashionable. 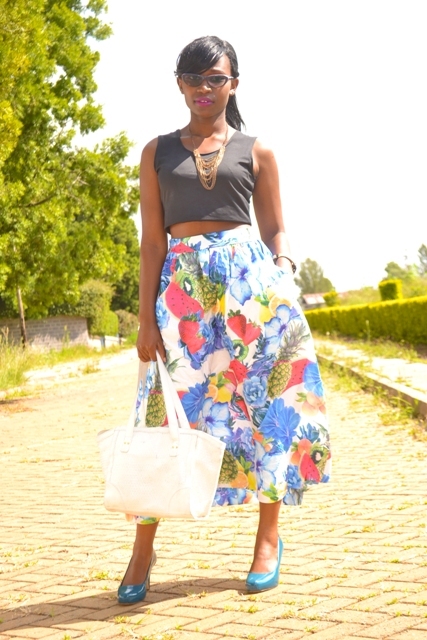 If you want to create bold combinations with your clothes, try to mix various prints, for example, pair fruit print skirts with plaid or striped shirts. Are you ready to look fabulous and trendy? Then scroll down and get inspired!